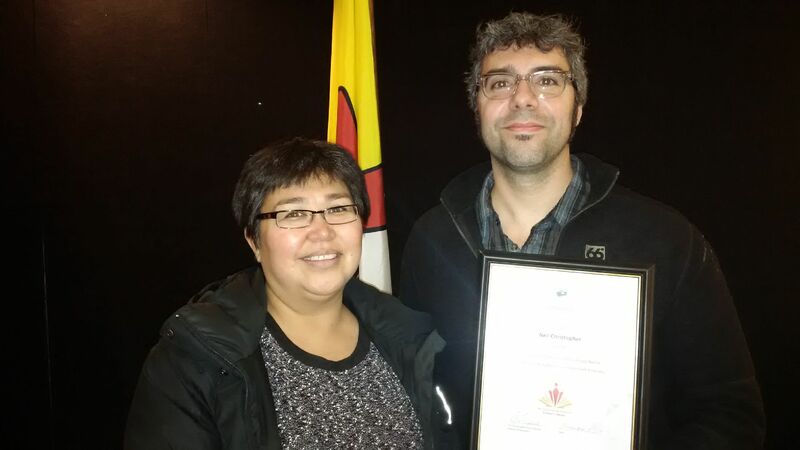 This week, Inhabit Media co-founder Neil Christopher accepted Nunavut’s Council of the Federation Literacy Award! Said Premier Peter Taptuna: “Neil is a dedicated, inspiring Nunavummiut, who has worked tirelessly to further literacy in our territory . . .
[W]e recognized Neil’s long-term contributions to the Nunavut Teacher Education Program. We were also impressed with Neil’s leadership in Inhabit Media, and its ongoing successes, as well as his efforts to encourage Inuit to write and publish their stories . . .